Spooky Sequences - A popular activity from the Primary Games Series, completely re-designed and enhanced for iPads and iPhones. One of the ghosts in the spooky sequence is missing a number. Tap the number buttons along the bottom of the main game screen to add a number to the ghost, if it’s the correct missing number in the sequence the ghosts will return to the haunted house. 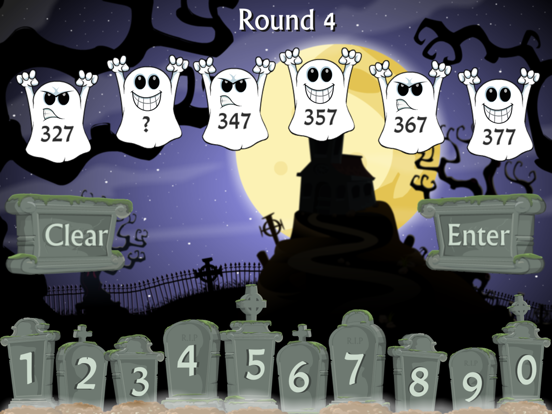 There are five spooky sequences to complete. Good Luck! - 24 levels of difficulty linked to the New Maths Curriculum. 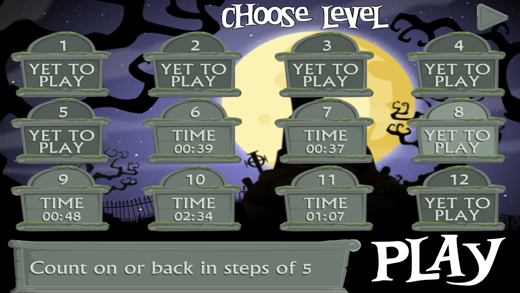 - a record of levels played and best times. - an engaging and fun way for children to practise counting on/back.